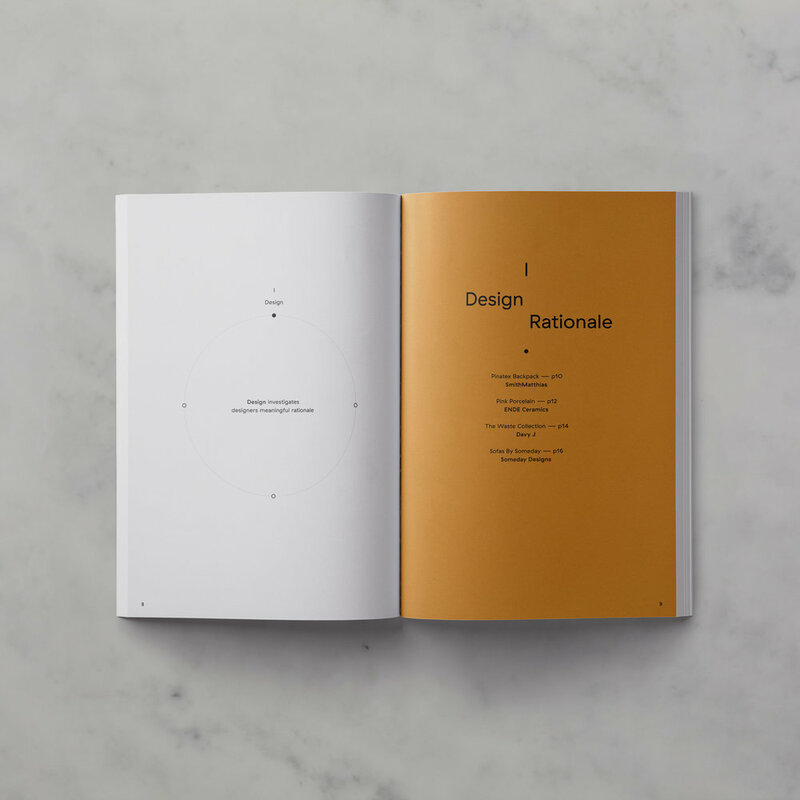 Design Giving magazine is available for pre-order from our Kickstarter campaign. All our Kickstarter rewards have been carefully designed and produced to a high standard using quality materials. 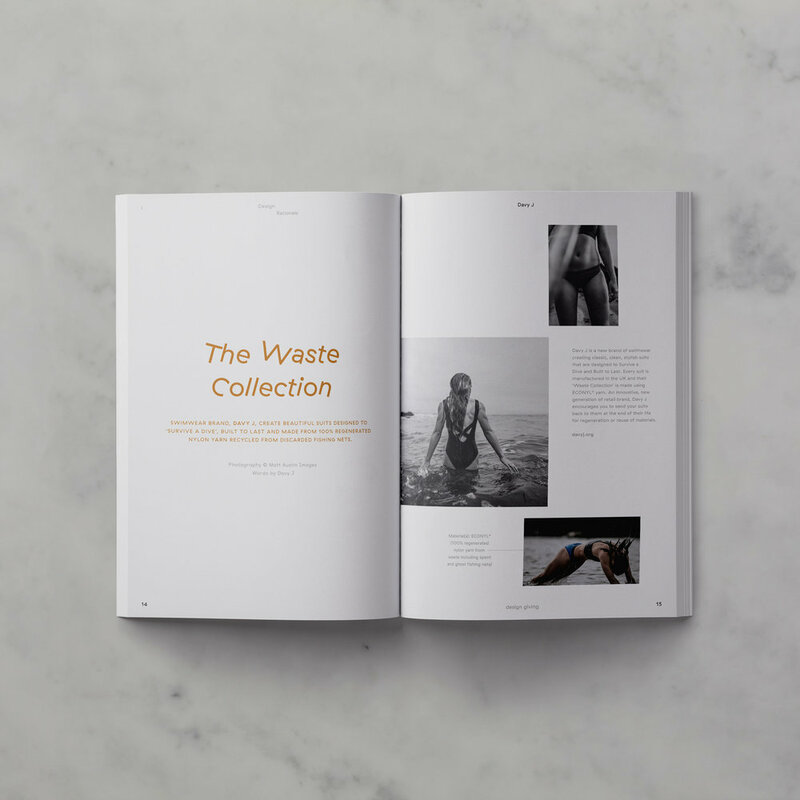 Design Giving magazine uses a combination of papers from G.F Smith including embossed, FSC certified, acid free and recycled papers. Each magazine will be gift wrapped in 100% cotton ribbon with two letterpress printed gift tags. Each notecard is die-cut and letterpress printed onto G.F Smith FSC certified duplex paper. Tied together with 100% cotton ribbon and accompanied with embossed, peel and seal envelopes. 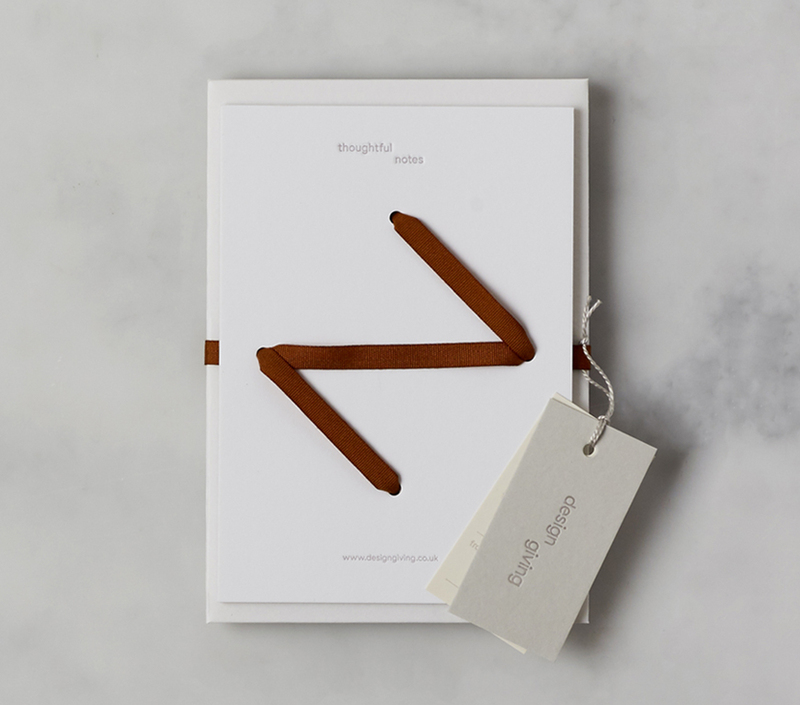 Each pencil is foiled stamped with ‘Thoughtful thinking’ and sourced from sustained yield forests – the most environmentally friendly wood case pencils available. Our stickers are made from high quality matt vinyl. You will receive a handwritten thank you card. Each die-cut and letterpress printed onto G.F Smith FSC certified duplex paper. And as a thank you for purchasing issue 1, your name will feature in a 'Giving Thanks' page in the magazine.